The colors of a mahi-mahi are some of the most vibrant when it comes to offshore fish. 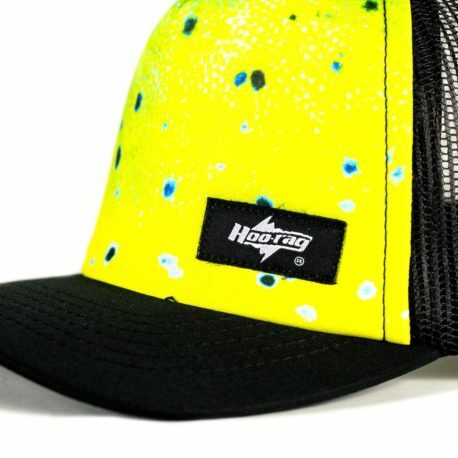 Now those colors have come to this Dolphin Reel Photo hat. Get ready for your summer fishing adventures by rockin’ this hat – and then partner this up with our regular Reel Photo Dolphin Hoo-rag. 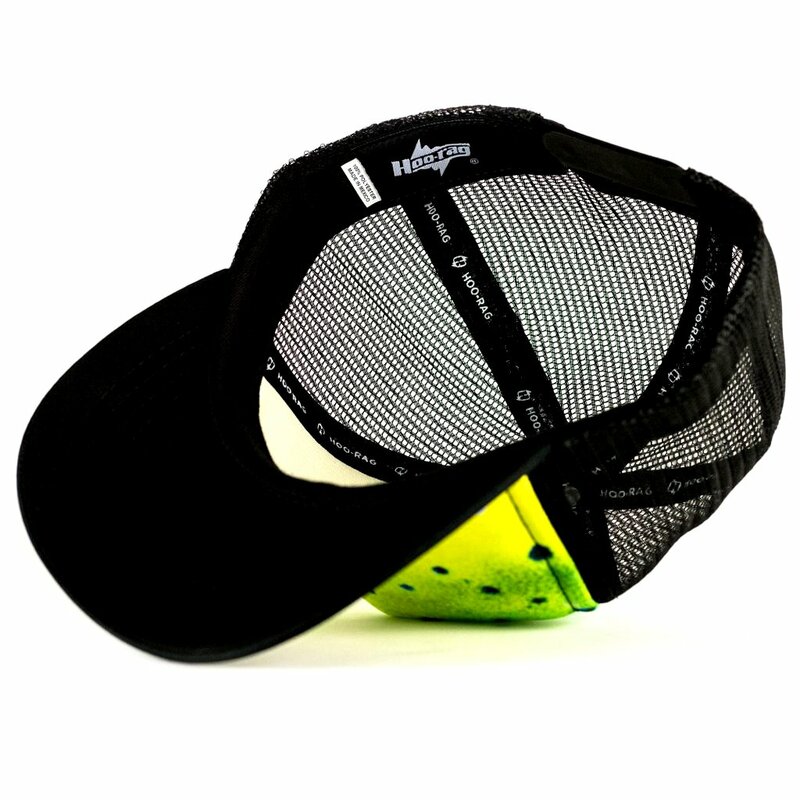 Or if you want more sun protection, check out our Solartek Max Version. We have limited inventory of each type so get yours while you can! 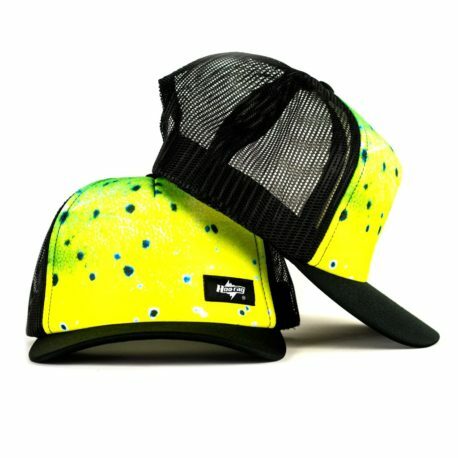 These fish skin printed foamy trucker hats feature realistic prints in a classic snapback style. One size fits most. I love the hat and hoo-rag combo. 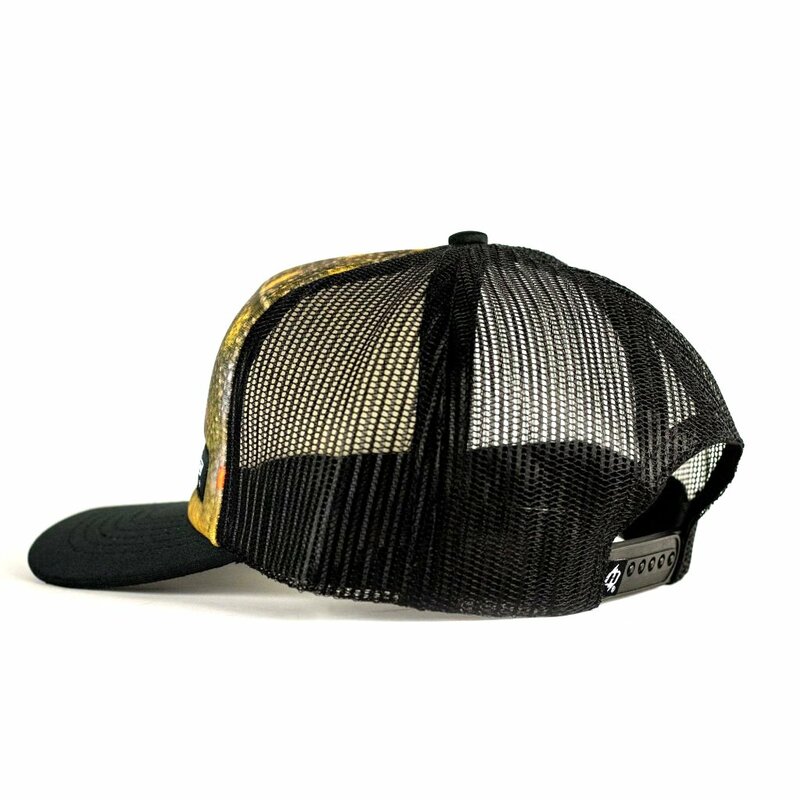 The design is realistic and the hat is really comfortable. Love them and would highly recommend. I bought this cap and hoo-rag set for my husband for our anniversary and he loves them is an under statement. The material and manufacturing of these products are top-notch. I would certainly order him or any male family member one for a gift in the future.